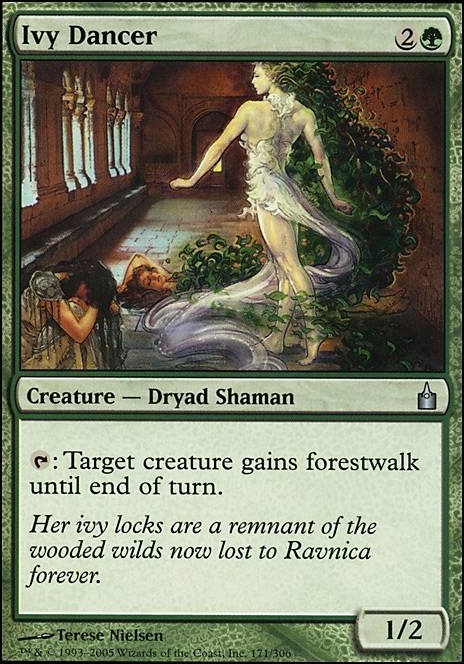 Tap: Target creature gains forestwalk until end of turn. @ HorseFist Mul Daya Channelers have been up since the beginning, thanks though! @ RearBumper Really nice list, I already had a bunch on the list. Added new ones though, Linvala, the Preserver , Windwright Mage , Puncturing Light , Ethereal Usher , Ivy Dancer , Shadow Alley Denizen , Disciple of the Old Ways Good catches! 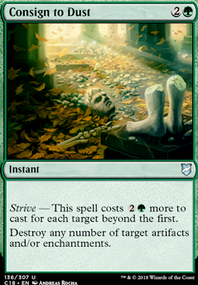 I can see where you are going with this deck, but it lacks some useful (and even budget) cards. Drop Citanul Woodreaders and Ivy Dancer. 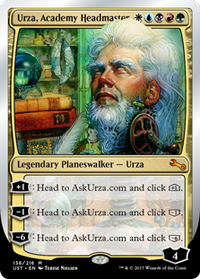 Citanul Woodreaders is too expensive for what it is, and Ivy Dancer is just a bad card, perhaps a sideboard card against other green decks, but that's about the best it will ever do... what you need is 4X Elvish Visionary instead of those two cards, and he is pretty cheap! 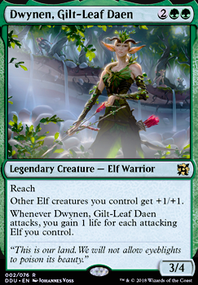 You want two things: elves and ramp. 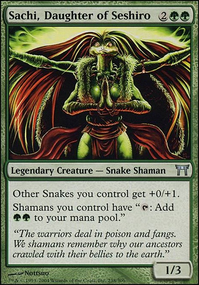 Problem is that you have not enough elves to make effctive use of 2x Joraga Warcaller and 2x Immaculate Magistrate. They belong in a full elf deck. 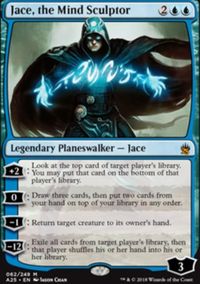 Replace it with 2x Polukranos, World Eater (like Sergal said) which is not that expensive for a mythic at all and 2x Nylea, God of the Hunt, which is not expensive either for a mytic. 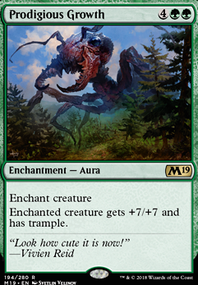 A very fun and budget card in this deck is definitely Lead the Stampede because it grabs out your creatures as a sort of budget alternative to Collected Company which is expensive. Ezuri's Archers seems a bit out of place too, you can replace it with Young Wolf. If you want interaction with counters then (since you use Vorapede and Strangleroot Geist, you can also add Avatar of the Resolute and Experiment One. Swordwise Centaur is also a very budget and good card to give devotion. Hope you could use this advice and keep up the good work!